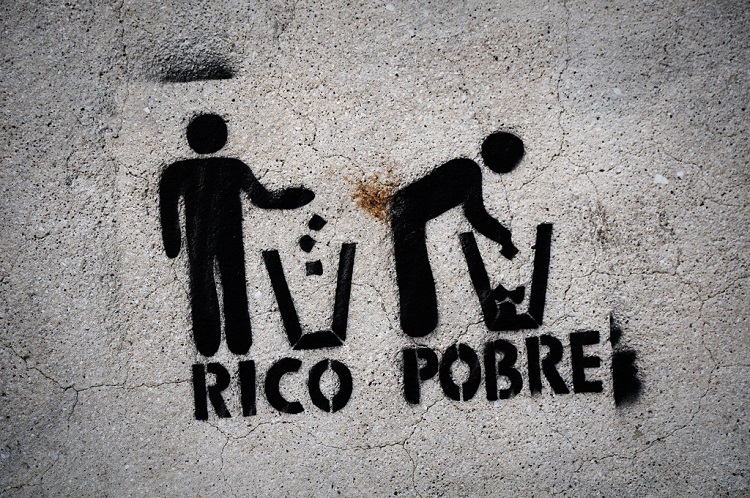 There is a serious and growing geographic divide between the rich and the poor that requires attention. That’s the conclusion reached by researchers at the Economic Innovation Group. In its analysis, EIG researchers integrated seven components that included both individual and collective perspectives to develop the DCI. A low-wage but high-employment community may have the same official poverty rate as one suffering from pervasive joblessness and low levels of investment. State and federal safety net programs may further equalize individual living standards between the two communities. But the latter neighborhood is distressed at its roots while the former is not. The DCI is designed to look past an individual’s condition and beyond the impact of public policies that often ameliorate individual distress to assess community economic well-being at its foundations. “It’s almost like you are looking at two different countries,” said Steve Glickman, executive director of the Economic Innovation Group. The study’s data provides support for the concerns of many that the economic divide in America is growing and needs to be addressed more aggressively. The one-fifth of U.S. zip codes with the highest distress scores—from 80 to 100—are considered distressed communities, and for good reason: In the average distressed zip code, nearly one-quarter of adults have no high school degree and 55 percent of adults are not working. The median income of these neighborhoods stands, on average, at only 68 percent of the state’s median income. Nearly one in seven homes stands vacant, and 27 percent of individuals live in poverty. What is more, during three years of nominal growth and recovery at the national level, the average community in these zip codes—one-fifth of all U.S. zip codes—saw employment decline by 6.7 percent and the number of businesses shrink by 8.3 percent. The typical prosperous community—the one-fifth of U.S. zip codes with the lowest distress scores, those falling between 0 and 20—looks very different. A resident of these zip codes is unlikely to encounter a neighbor without a high school degree, and the vast majority of adults have work. Few homes stand vacant. And the economy is booming: From 2010 to 2013, the best-off one-fifth of U.S. zip codes enjoyed 17.4 percent job growth and saw the number of business establishments in their neighborhoods rise by 8.8 percent. The economy—measured as businesses and jobs—is slowly vanishing from the country’s worst-off rural and urban areas. From 2010 to 2013, the most distressed 10 percent of zip codes lost 13 percent of their jobs and saw more than one in 10 business establishments close. During that same period, the most prosperous 10 percent of zip codes saw employment rise by a staggering 22 percent and the number of business establishments rise by 11 percent. John Lettieri, senior director for policy and strategy at EIG, described these findings to the New York Times. The most prosperous areas have enjoyed rocket-ship like growth…by contrast, in places the recovery has passed by, things look very different. In the nation’s most distressed communities, the average house dates to 1959, 30 years older than the typical structure in the wealthiest ZIP codes. Population growth is flat or falling, not rising as it is in wealthier areas. More than half of adults don’t have a job, and nearly a quarter lack a high school diploma. In the most prosperous ZIP codes, many of which are in the Sun Belt, only six percent of adults dropped out of high school and 65 percent are employed. They are enjoying a boom that camouflages what’s going on at the bottom. The authors conclude with a challenge to those concerned about the human cost of the economic reality they have highlighted. The findings…present an urgent public policy challenge to U.S. lawmakers. Instead of lifting distressed communities, the recovery has left them and their residents even further behind. And once distress sets in, it seems to persist: even the country’s most dynamic and successful cities struggle to achieve geographically equitable prosperity. New approaches are needed to enable more people in more places to participate in and benefit from economic growth.